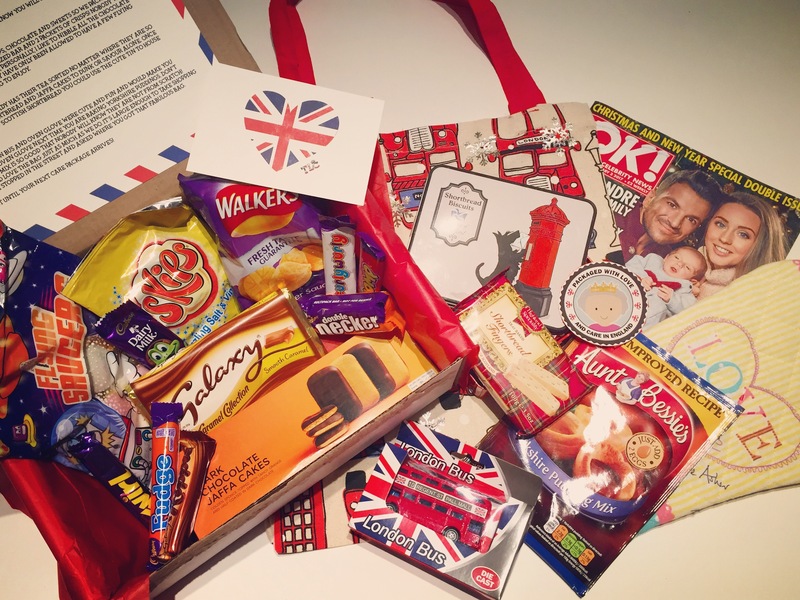 Reusable canvas bag – Love this British themed bag, super cute! Oven mit – A must for all the work in the kitchen – and when taking out those yorkshires! OK! magazine – Just a little trash magazine for fun, love! London Bus – Super cute, trying to decide where to put this! Yorkshire Pudding Mix – ERMERGERD, can’t wait to make this immediately! Love yorkshires! Although I hear they are really hard to make. Shortbread Biscuits – Num num, these are tasty! Jaffa Cakes – I’ve seen these before, a yummy treat straight from the UK! Flying Saucers – A famous one, haven’t had one of these since Elementary school! Walkers worcestershire chips – interesting flavor and oh so fun! Galaxy chocolate bar – Huge caramel chocolate bar, delicious. plus 7 other smaller chocolate bars… that’s alot of stuff!!!!! Some of these I have found in store before, some are new to me! I love trying new chocolate so quickly took this pic so I could start sampling all of them!